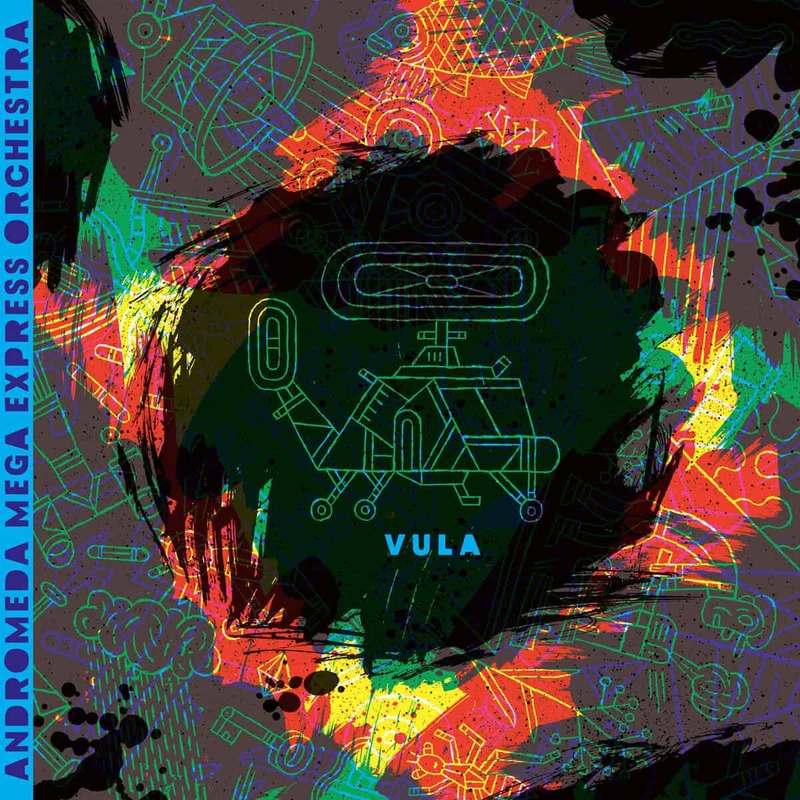 The massive eighteen-piece big band, or small ensemble, from Germany Andromeda Mega Express Orchestra released, in early July, their latest album in Vula. The hourlong release, which features seven tracks, is very eclectic and dense. Their music has a sometimes retro quality to it, which takes you back to the music of the thirties or forties, but retain an undeniably modern aspect. The vast array of musicians play demanding compositions, like the fast-paced and hectic ‘In Light of Turmoil’, blaring almost relentlessly for more than thirteen minutes. I can only imagine how the drummer’s right arm feels after this… It might not be very common or helpful as a description, but I find that Vula sounds very retro-futuristic. It sounds like a naively optimistic soundtrack of the modern day written in the past. The songs take you and make you travel; the album is an adventure in itself through various jazz and classical music sub-genres. Truly an album you don’t want to miss out on.